You love him. You love him more than anything. From the moment he was born and in your arms your life changed. It got better. You had purpose. Sure there have been hard times, arguments and fights, but in the end you both love each other. You're both there for each other. He knows you love him but it's nice to show it, to surprise him. That's where this stunning, one-of-a-kind, reversible necklace comes in. It's a timeless treasure he will cherish forever, reminding him of how much you love him. Even when you are not there to hold him, this necklace will be there as a reminder, keeping him safe. Julie McCain said: A beautiful gift for an awesome son/in-law! 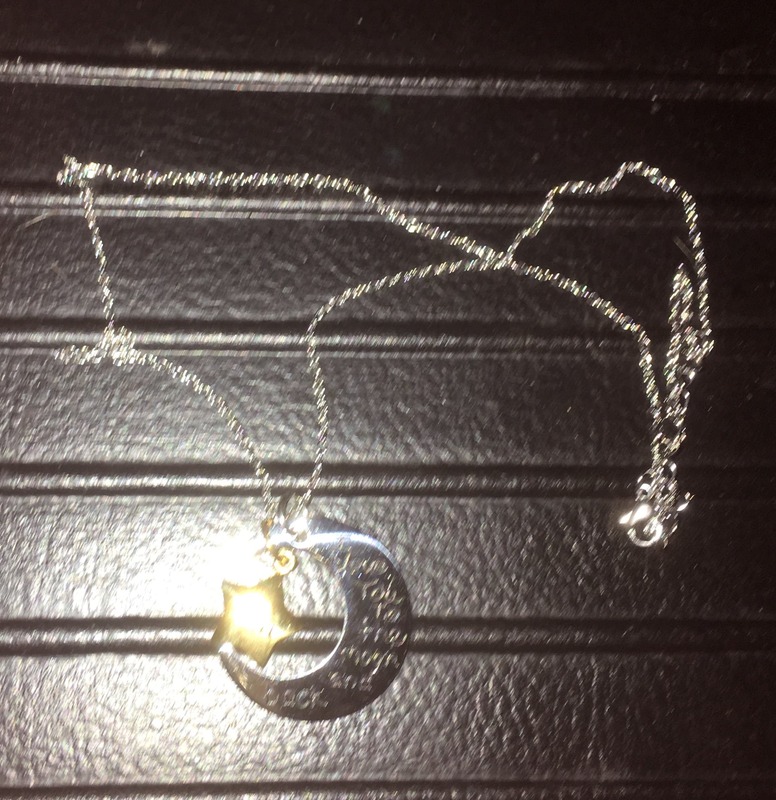 I love the’Son I love you to the moon and back’ necklace. It will be a sentimental Easter gift for a man I call my son. Thank you! Blessings! Patti Nedell said: Not yet. I really like the necklace but it's a Christmas present but I haven't given it to my son yet.